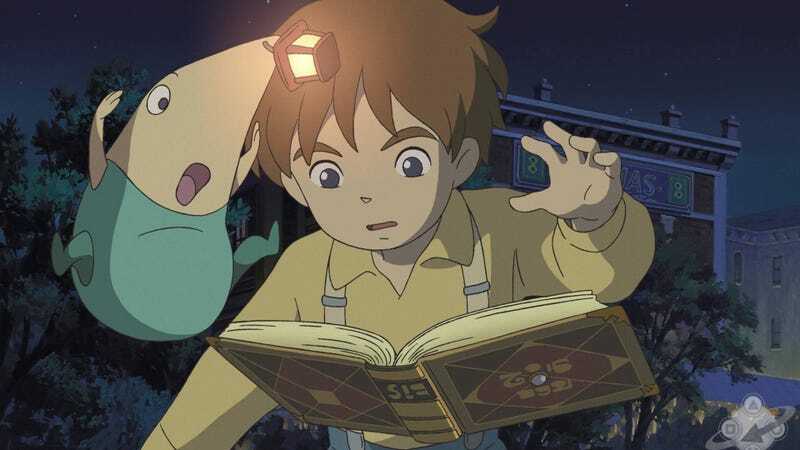 I'm playing Ni No Kuni when my daughter sits down beside me, enthralled by the visuals. "It looks like Ponyo," she says. "It's made by Ghibli," I tell her. That was all it took for her to be interested in her first RPG. Then came the fun part. My daughter knows nothing about RPGs. The closest she's played is Zelda, which is honestly not a true RPG. (Don't hurt me.) In these last few weeks, it was my pleasure to start teaching her the basics of role playing games. "You're not going towards the star Mom!" First rule of RPGs: don't go where they tell you to go. Go everywhere else first. We've all done this. We avoid way points like the plague. We all know there is going to be a boss battle or cut scene there, and we just finally got through a cut scene or boss battle. Now we want to explore. Plus, you know there is a treasure chest at the end of that dead end. It's a RPG staple. "They like you now that you have different clothes. You're not a freak anymore." Quests are the RPG bread and butter. 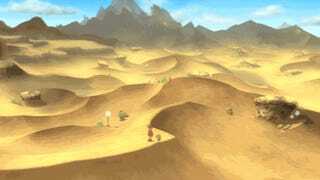 Side quests are like the desert. It takes time to get there, but the rewards are worth it. And so many people in Ni No Kuni need something from you. My daughter started complaining about how I was talking to everyone, until a cat lady gave us a quest for flowers. To an 11-year old girl, that was the most amazing thing ever. From then on, I not only had to talk to people, but she would remind me if I skipped someone, or if they were a cat person. Cat people had to be talked to repeatedly. "It that a robot? Magic it Mom!" Speaking of quests, there is the whole issue of balancing quests. You have to remember where you are going, or what you are collecting, or who you are (Gasp!) killing. You have to remember where you saw something interesting. As we ventured through Golden Grove, my daughter and I happened upon a robot that (contrary to my daughter's idea) did not spring to life when I magicked it. And believe me, we went through every spell available at the time. She gave up and told me it mustn't have been important. I urged her to remember where it was, because I had a feeling it was important. Let's hope at some point I'm right. Anyway, my daughter was heart broken. And Oliver made it worse by saying something about his mother. I thought she would cry. This was the thing I most dreaded. Most of the games my daughter has played don't have death. Skylanders get tired, Pokemon faint, Mosnter High girls are mostly dead or immortal. Yes, Link can die, but somehow a fairy floating above his head makes it less real. This was honestly a sad thing. It broke my heart. But in that instance my daughter taught me something: You continue because the world still needs saving. I think that might be the actual first rule of RPGs.